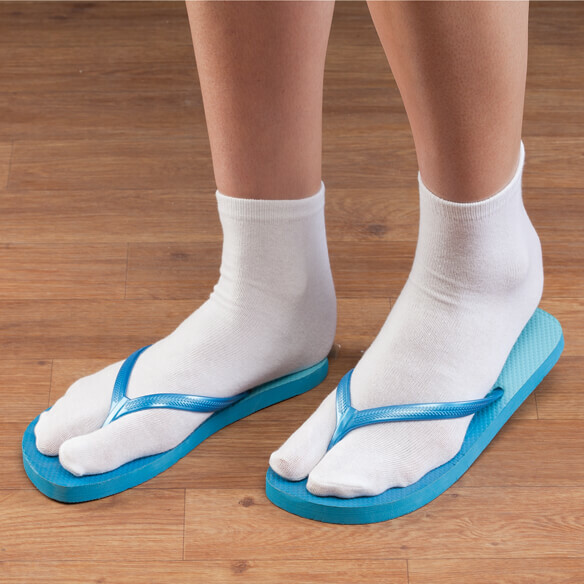 Split-toe flip flop socks keep feet warm while enjoying the freedom of flip flops. 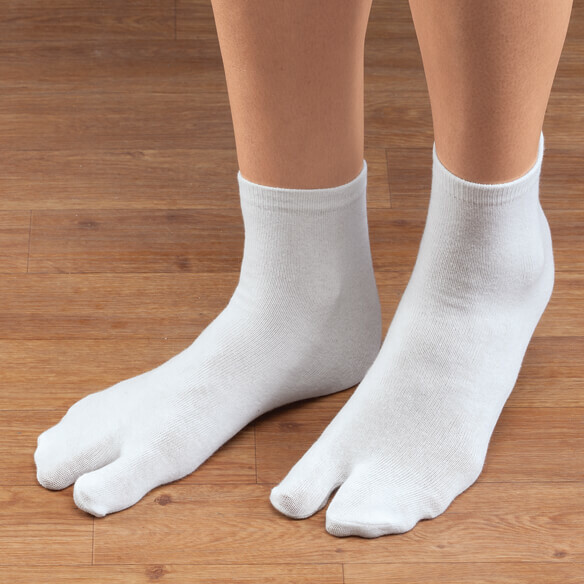 Versatile crew socks separate the big toe from the rest, so you can wear them with any thong-style sandal or regular shoes or boots. Perfect for staying prepared for any weather during travel or for anyone with swollen feet or injuries that require an open shoe. Ideal with any thing-style sandal or regular shoes or boots. One size fits most men and women. Toe socks made with cotton/spandex. I will buy more when needed. New flip flops irritate between my toes. I wear flip flops--even in winter, so these are great! Been looking for this type of sock for awhile. Happy to find. looked interesting. To give it a try and I love it. I wear 'flip-flops' when I'm home. Regular socks have a hard time adjusting. The Split-Toe Flip Flops will allow for easy wear and keep my feet warm. My granddaughter likes to wear socks with her sandals. I thought these would be comfortable. I wear go-a-heads year-round in the house and need to change from street shoes when arriving home. Trying to find a solution to an amputated 2nd toe. I like wearing fit flops. Want to try them out. I have problems with flip flops being uncomforable between my toes. Hoping this will solve the problem. I know that is h ow Japanese people wear their flipflops, so I thought this was a good idea. 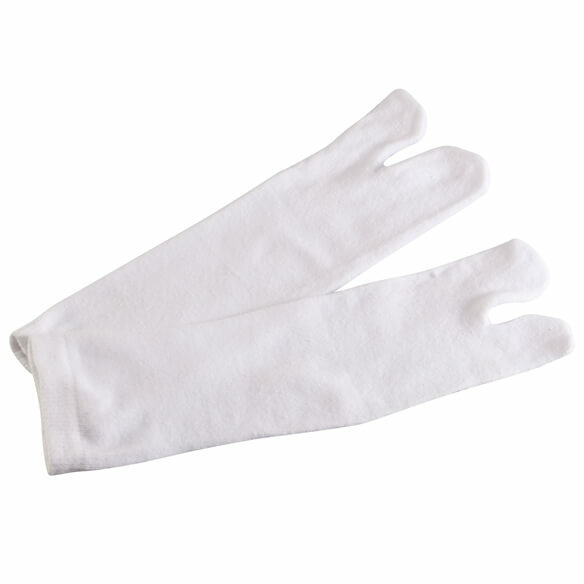 Need to wear with slippers. My granddaughter lives in her flip-flops. Now her feet will be warm with these socks on in cooler weather. Do you have this same style in expandable material for diabetic people that have and get swollen ankle issues? BEST ANSWER: Thank you for your question. Unfortunately we do not carry this item with expandable material. We hope this information will be of help to you.